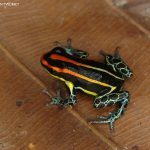 Widely distributed throughout Amazon basin. 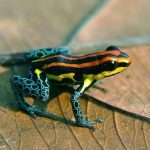 Since the original description in 2006, frogs referrable to this species have been found in southern Peru (Madre de Dios), central Peru (Pachitea drainage), western Brazil (near Porto Walter), along the upper Amazon (in Peru and Colombia), and as far west as central Guyana. 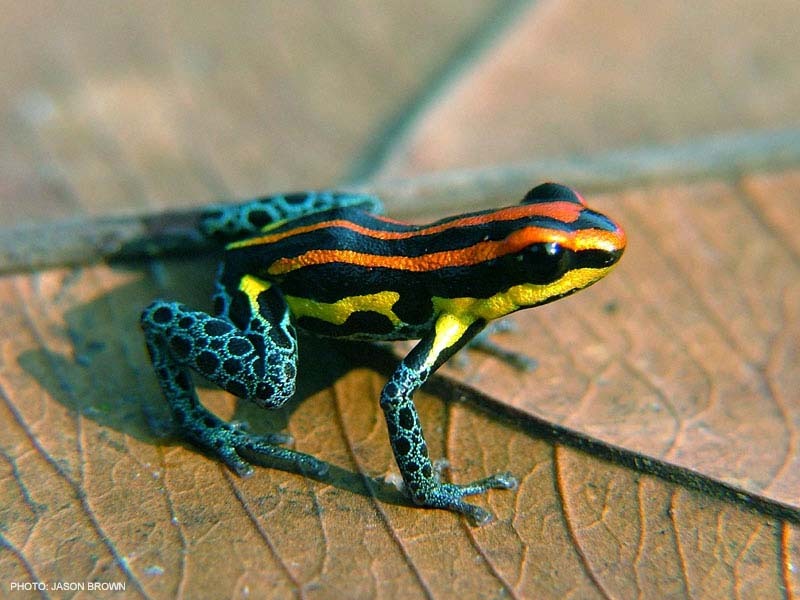 Most known populations are typically red with yellow flank stripes, although a few populations (such as Porto Walter and southern Peru) have purely yellow stripes. 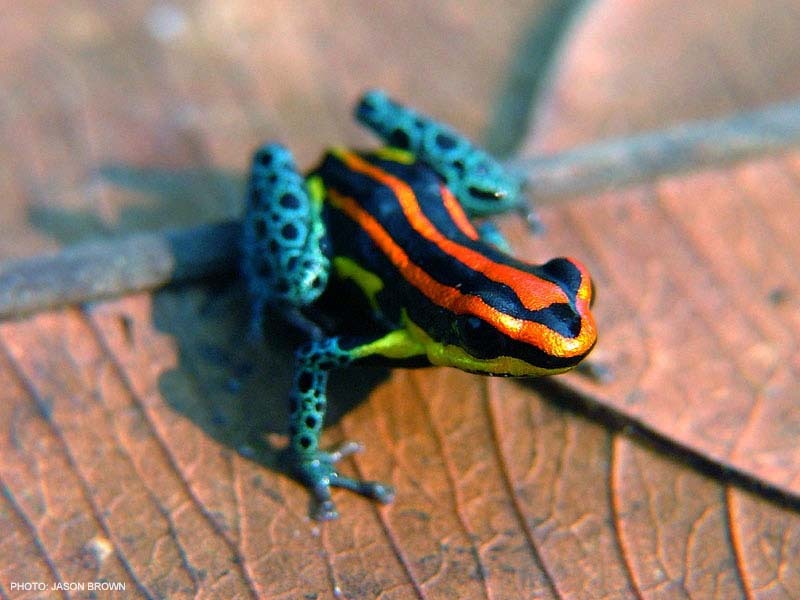 This is a relatively small species of Ranitomeya (15-16 mm SVL) that spends most of its time on the forest floor. Egg-deposition and presumably tadpole development take place in the Guzmania bromeliads that are abundant in the area. 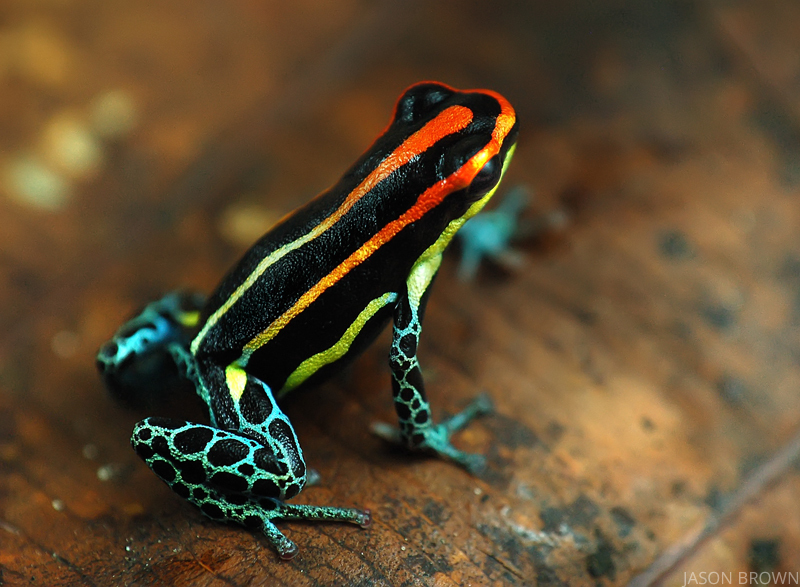 To our knowledge, legal exports of this species have only taken place recently with Understory Enterprises. However, smuggling pressure seems to have been relatively low through the recent years for this species. 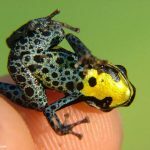 In the wild, this frog occurs throughout many sparsely inhabited areas throughout a large range and is therefore not threatened by habitat loss. 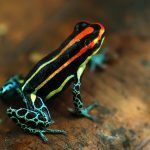 Member of the reticulata genetic group. 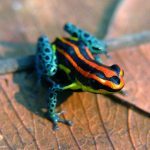 This species was for a long time considered to be Ranitomeya duellmani (now referred to as R. ventrimaculata), though genetic work showed it was certainly something different. In hindsight, the distinction could have easily been made through morphology. 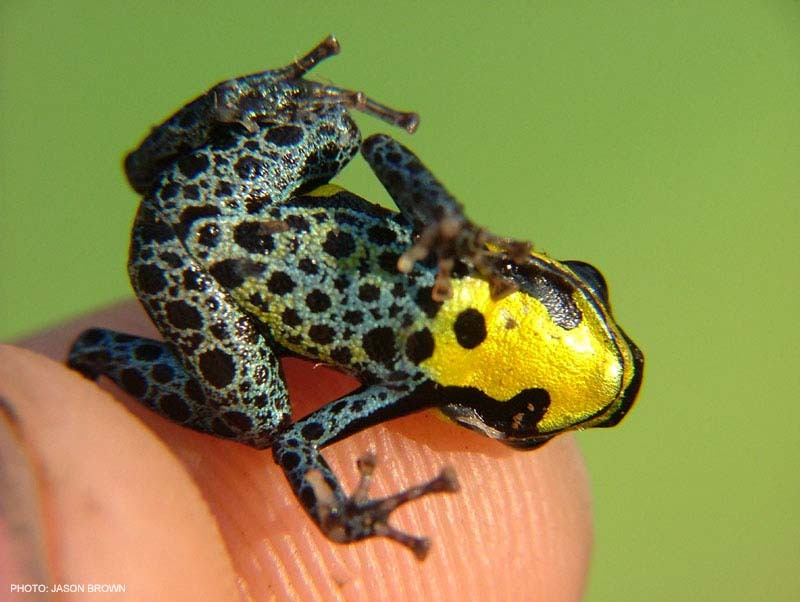 R. ventrimaculata never has yellow coloration on the sides whereas R. uakarii always does. 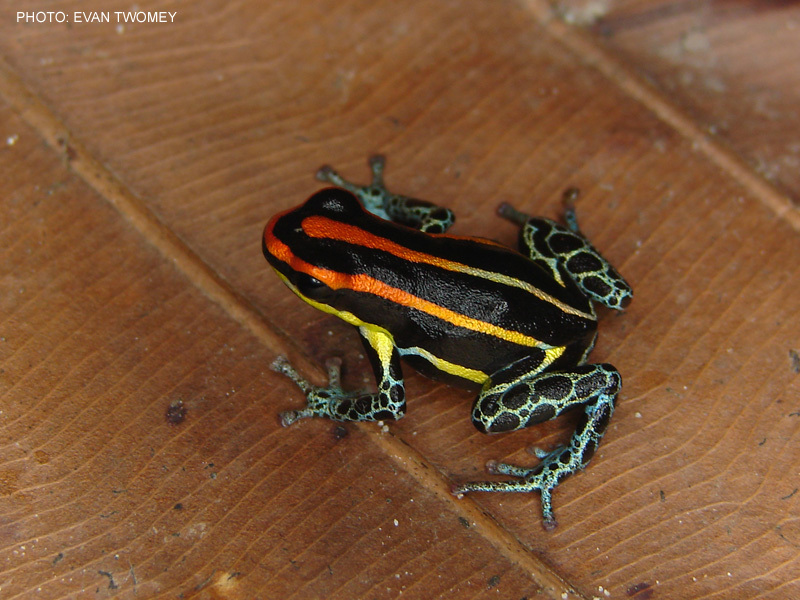 These two species also occupy distinct ranges, with R. ventrimaculata occupying the northern side of the Amazon and extending into Ecuador, and R. uakarii occupying forests to the south of the Amazon and extending to the south and east, except for near the three-countries corner where R. uakarii occurs on both sides of the Amazon.